Home > Events > Stuff the Truck! Stuff the Truck! 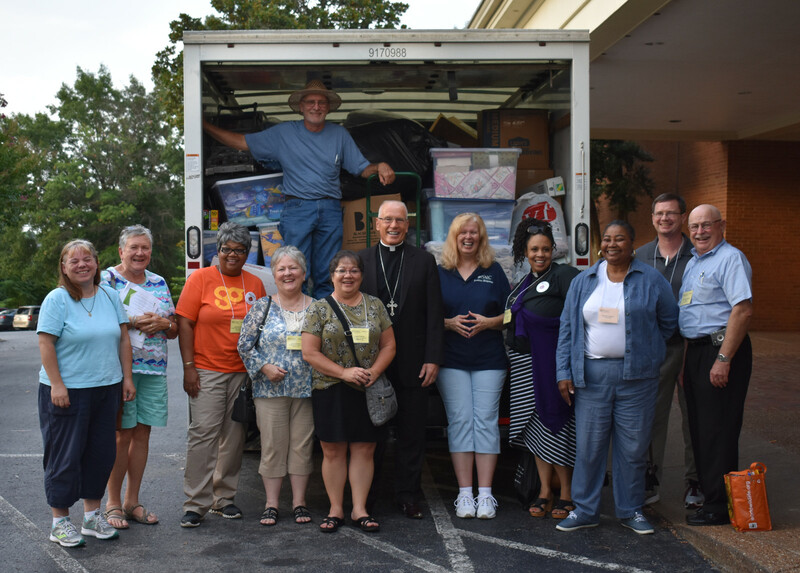 was a huge success at our 2017 Lutheran Week in Nashville. Thanks to everyone who donated and worked the event. Special thanks go out to the Women of the NALC. 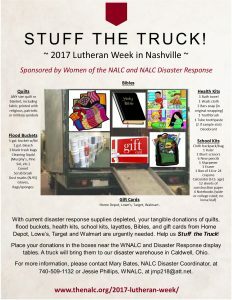 Stuff the Truck! at our 2017 Lutheran Week in Nashville. 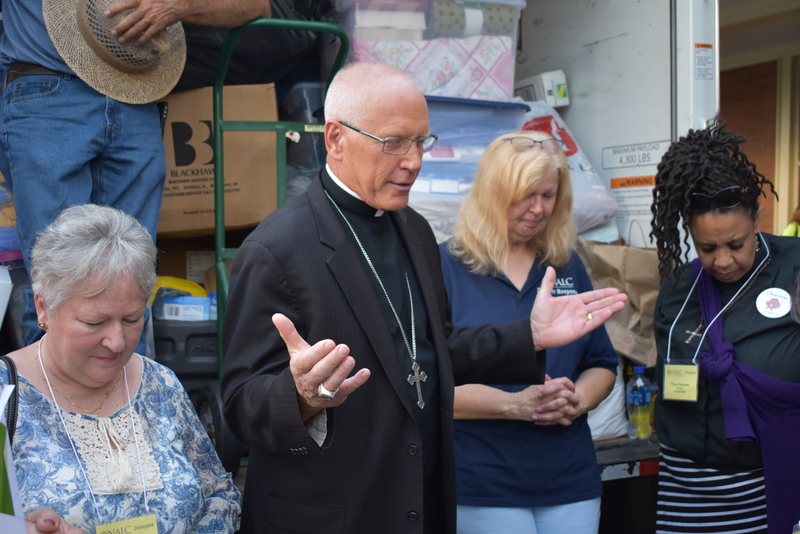 With current disaster response supplies depleted, your tangible donations of quilts, flood buckets, health kits, school kits, layettes, Bibles, and gift cards from Lowe’s, Home Depot, Target and Walmart are urgently needed. Place your donations in the boxes near the WNALC and Disaster Response display tables. A truck will bring them to our disaster warehouse in Caldwell, Ohio. 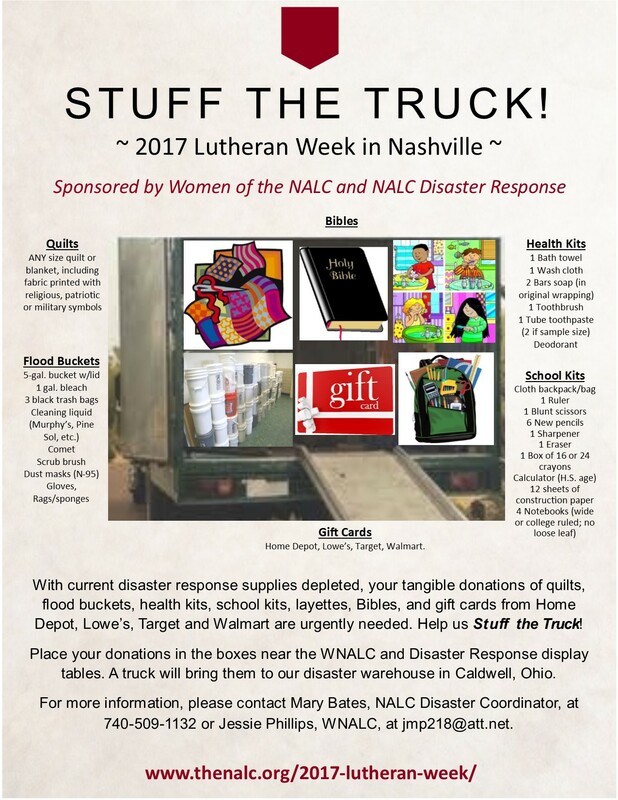 For more information, please contact Mary Bates, NALC Disaster Coordinator, at 740-509-1132, or Jessie Phillips, WNALC by email. Click for a brochure for your congregation that may be printed or emailed.